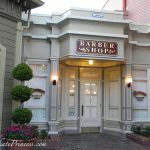 There is a barber shop on Main Street, U.S. A. in Magic Kingdom, and many Disney visitors who only use Main Street as their route to a roller coaster are surprised to learn this is not just a fake store front. Lots of hair, for both adults and children, is styled here every day. 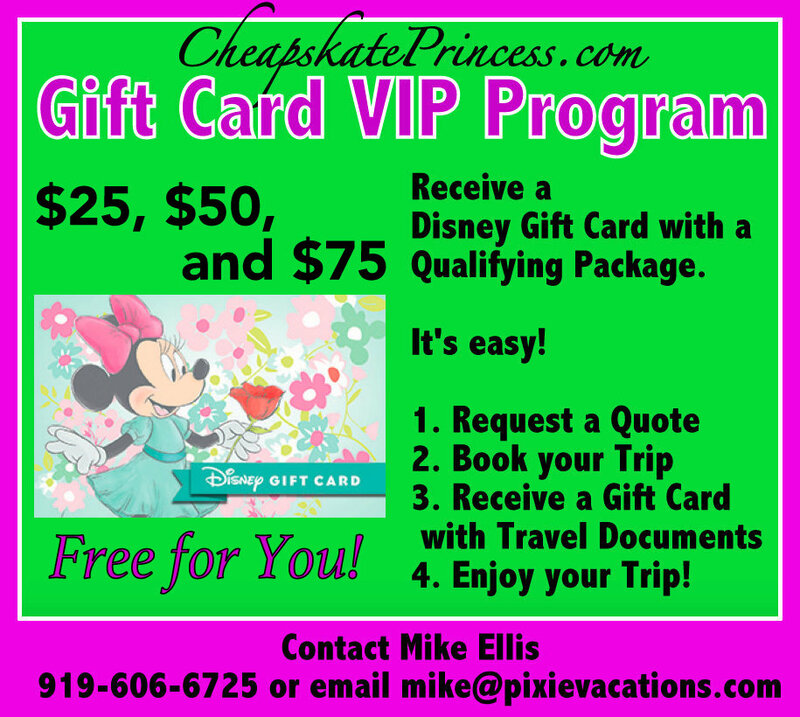 Cheapskates, get ready for your next fun Disney World adventure, one that won’t break the bank. 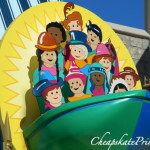 If your child isn’t too keen on the idea of dressing like a Disney Pirate or Disney Princess, this could be a great option for taking part in all the “dressing up” that goes on at Disney parks these days. 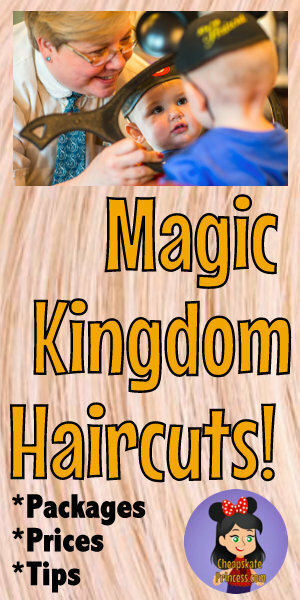 With children’s hair services priced starting under $20, this is also a great option for those cheapskates that want to keep costs down but the level of fun set on high. 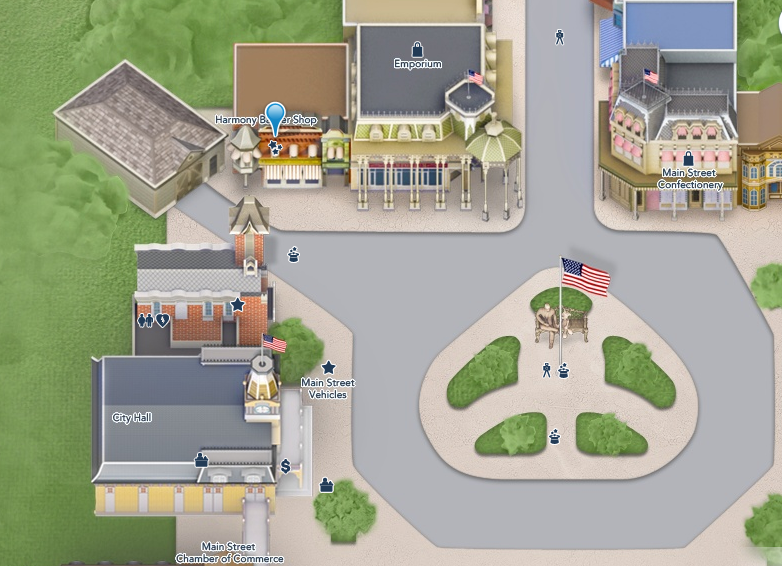 The Harmony Barber Shop is located on the left as you enter Magic Kingdom, past City Hall, tucked in between the “car barn” where the parade floats enter and exit and the Main Street Emporium. Refer to the map at the bottom of this article if you are not too certain how to find it. 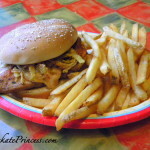 The hours are typically 9 a.m. to 5 p.m., and the shop is open seven days a week. Yes, reservations are recommended. Call (407) WDW-PLAY or (407) 939-7529. Lots of people comment on how small this shop is, so given the low number of chairs, reservations will be all the more advisable. 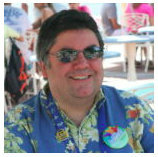 Cast Members get to reservation-holding customers first, and then they take any walk-ins. If you can plan ahead, you can save yourself some time. Seriously, adults really do this? Oh yes, they are. Vacationers are sporting all sorts of head decorations these days, from Mickey ear hats and glitter to tiaras and Minnie Ears headbands. 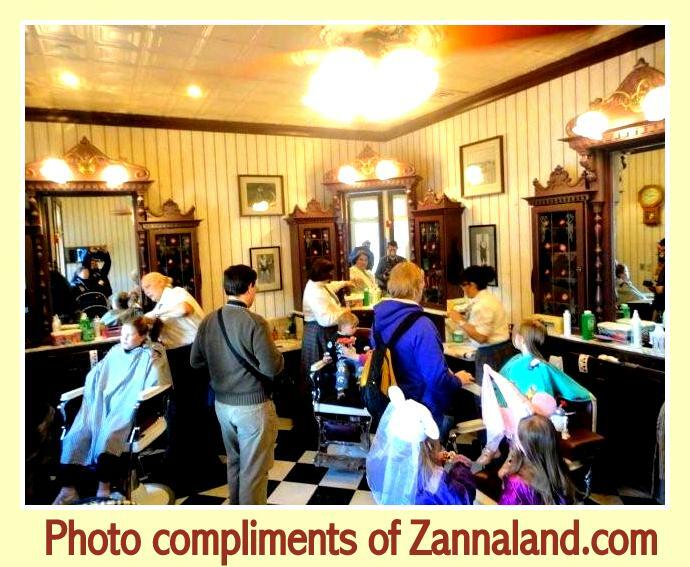 We have an entire article dedicated to more pictures of both adults and kids getting haircuts at the Harmony Barber Shop – see just below. You’ll fit right in, plus you won’t have to schedule your upcoming hair appointment when you return from vacation. Think of the photo opportunities! 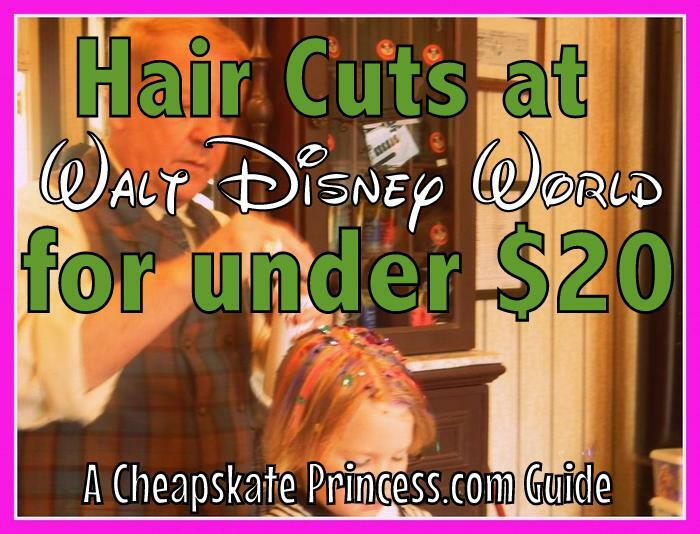 $18 for children and $19 for adult haircuts are certainly reasonable prices, not unlike what you would pay off Disney property in certain locations, especially in comparison to the cost of the Bibbidi Bobbidi Boutique. This is about what I pay for a hair cut in the city where I live. So getting a haircut is pretty cheap at the Harmony Barber Shop, again comparatively, and could take less time provided that you made a reservation. 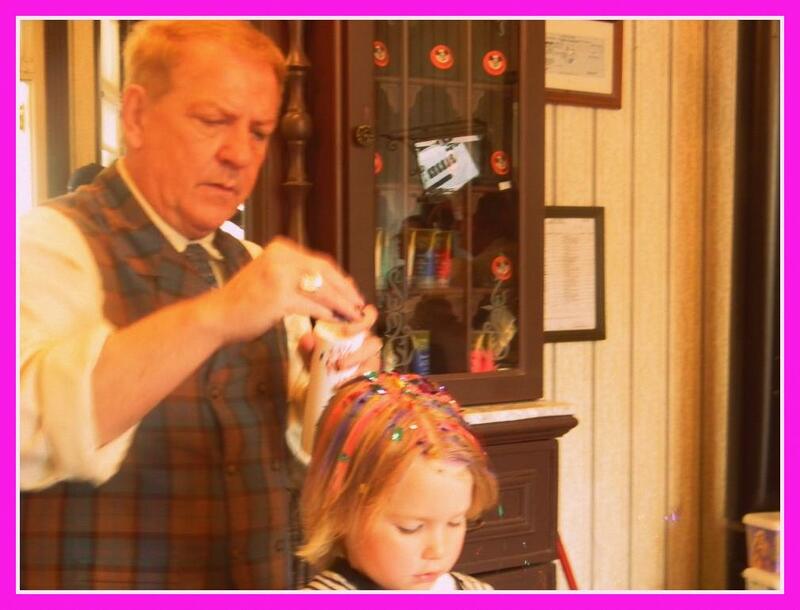 Most parents know by now that getting really small children to sit for a hair cut is often difficult if not impossible. “First Haircuts” are the Harmony Barber Shop’s specialty. 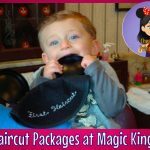 Young WDW guests who receive their first haircut at the Magic Kingdom barbershop are treated to surprises from “pixie dust” and bubbles to Mickey Mouse stickers. 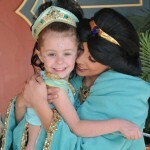 You also get an extra-special “My 1st Haircut” set of Mouse Ears and a certificate. Have you priced Mouse Ear hats lately? They’re a $15 value just by themselves before any hair is trimmed. This sounds like a fantastic deal for $25, with the haircut and hat combo, plus pixie dust, bubbles, and stickers. The kids may be so distracted, there may not be time for the tears usually associated with first haircuts. Cnn.money.com recommends the following tipping suggestion for barbers and hairdressers: 15% to 20%, with a minimum $1 for a haircut. No shampooing is provided at the Harmony Barber Shop. Water may be sprayed on the hair if it is needed during styling, but you should arrive with clean, dry hair. 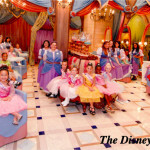 Any guest under 17 years of age has to be accompanied by an adult 18 years or older. If you miss your appointment or cancel within one day of your reservation, a $10 charge will apply. 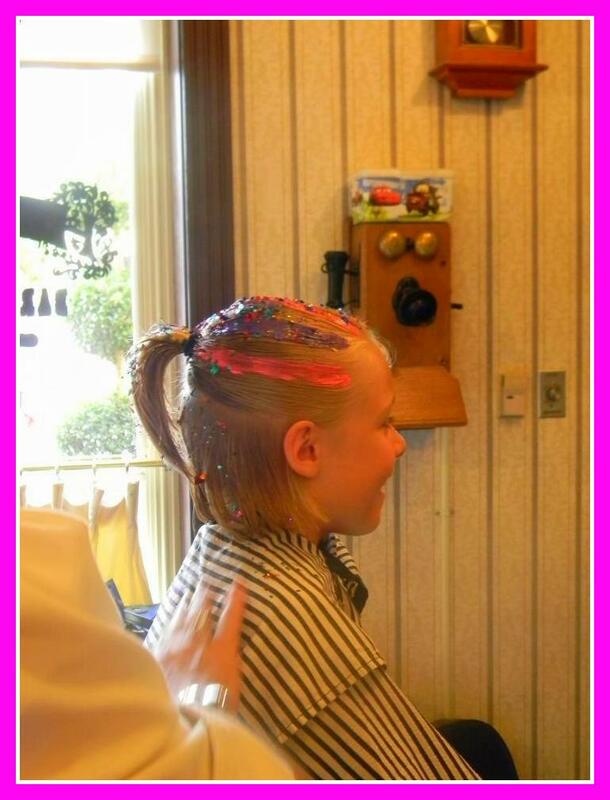 All Harmony Barber Shop stylists are state-licensed cosmetologists. Prices and services offered are subject to change. Our prices were accurate as of May 2018. Walk-ins are welcome, but this barber shop is known for being very busy, so reservations could definitely help out the time management of your day. 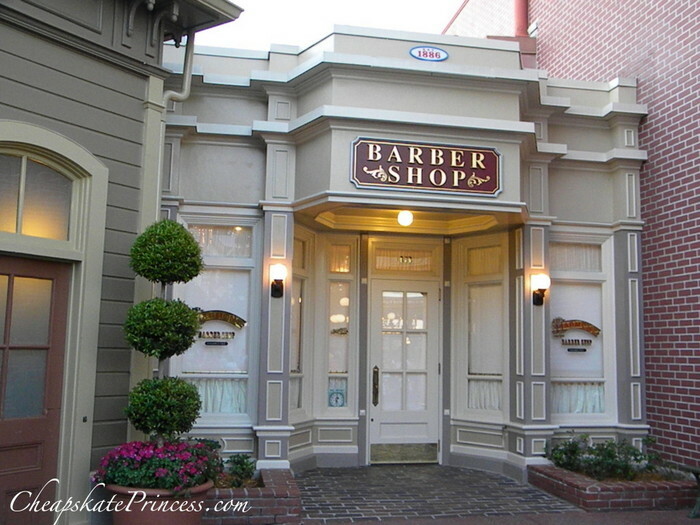 Like to see a Harmony Barber Shop video on the Disney Parks Blog? Use this link. 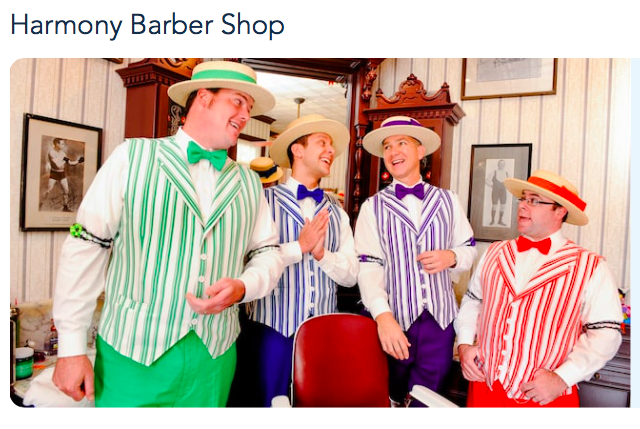 For the official Disney World information page to Harmony Barber Shop, use this link.